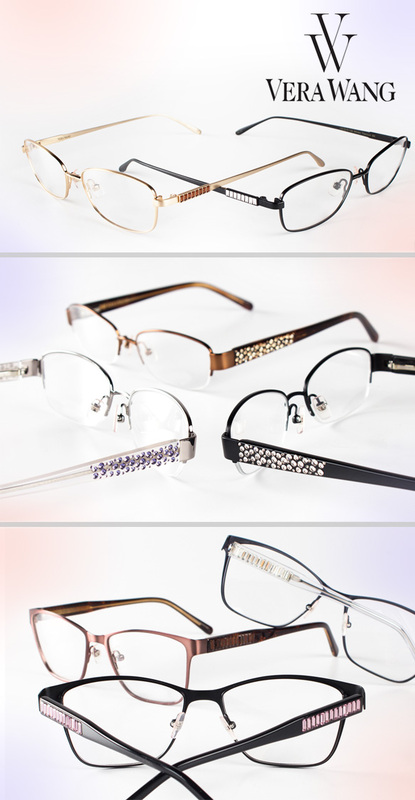 Ladies, getting glam has never been easier with specs from Vera Wang’s exclusive Luxe Collection. Known for mixing unexpected finishes, silhouettes and colors, the renowned designer impresses yet again with these stunning styles. Gorgeous gold, black, silver and bronze hues with glimmering metallic effects serve as the perfect backdrops for sparkly Swarovski crystals to shine through along the temples! To boot, sophisticated oval and sleek rectangular profiles are beyond flattering. Combined, all of these elements are sure to make any woman that rocks these styles look and feel gorgeous! Get even more deets on these head-turners here.